Sometimes you need to transpose row values which have similar structure of data into columns and create Pivot like tables out of them. 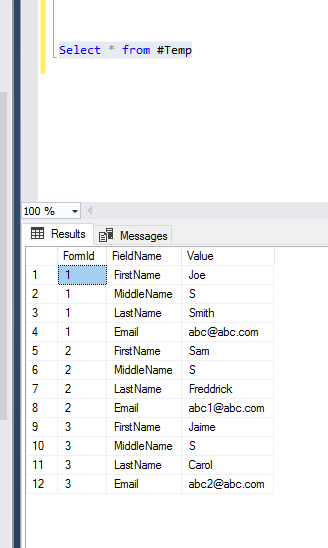 Good example is to export data coming from Sitecore WFFM or Sitecore Forms tables. Just adjust the script to your values and that’s it! Next Post: Sitecore Core Community Friend Award 2019 winner!